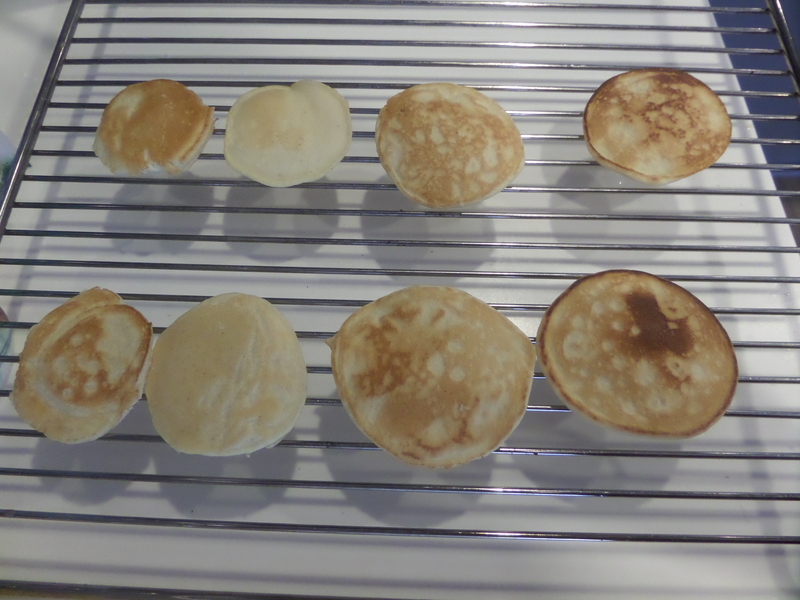 I made blinis using my standard pancake recipe, and tried (but slightly failed) to get them all to be roughly the same size and colour. 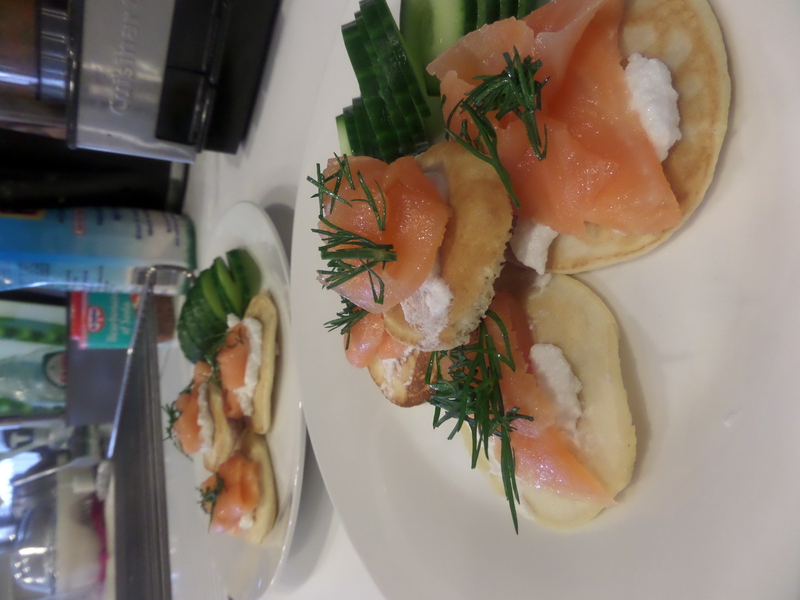 I topped each with a dollop of goat’s curd, some smoked salmon and dill, and decorated with cucumber spirals and pomegranate arils. 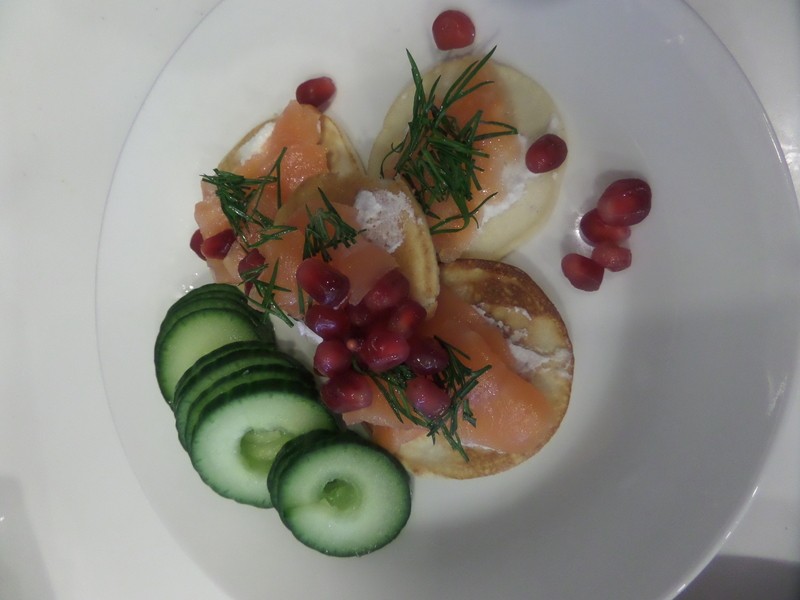 Posted in breakfast, snack, starterTagged coconut flour, cucumber, dill, goat's curd, pancakes, pomegranate, salmonBookmark the permalink.